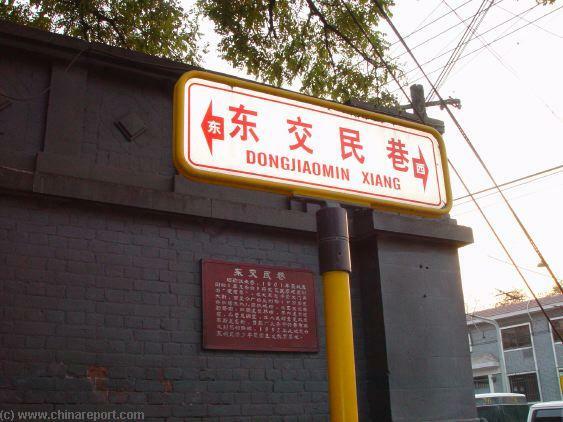 Prince Su's (or Xu) Mansion was formerly situated in Dongjiaomin Lane in a large traditional Mansion perched underneath the looming City Walls on the south end of the city. 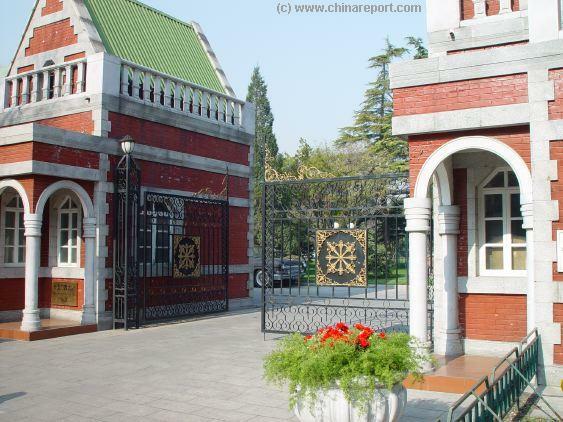 Although the traditional Mansion has since been replaced by the strange looking houses and pavilions of what became the Belgian Embassy in Beijing, the grounds of the Mansions still exists today and are known as the Zijin Guesthouse, a guarded and walled compound where honored Foreign Guests of the Government are frequently accommodated. The St. Michael's Catholic Church stands across from the North Gate of ZiJin Guesthouse. It is the Site of the Former "French Cathedral" and an adnex of the French Legation to the West of here on East Legations Street. Read More about this Church and its History within the Legations in the 3 Page Report on DongJiaoMin Xiang Catholic Church - St. Michael's. Schematic Map of the 1900 AD Legation Quarter, the various Legations and current day structures. for his outright refusal to deal with Foreign Creations. Not only did he refuse to use his North and Front Gate after the establishment of European Buildings and Legations there. The Prince would even refuse to look at the European Buildings. Altogether, it sounded pretty nasty and as a result, be it rumor, hearsay or truth, the Prince was hardly a popular figure among the Foreign Community now installed in the city. And so, not surprisingly, at some point later, during the 1900 AD summer he would be accused of being a moving force behind the Boxer Attacks on Foreigners and Christians. During the Battles of the Siege, the Prince soon fell into the hands of the Foreigners he so despised and was taken captive. The Prince however was lucky. Due to some of the miscommunications that typified the Relations among the many Foreign Nations and their Legations, the French who were keeping the Prince captive, mistakenly released the Prince. He there-after escaped with as much dignity in tact as he could find. northern end of Nanchuanban Lane in Beixinqiao. 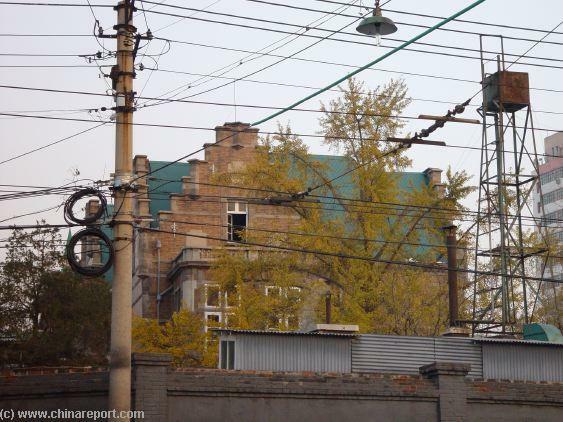 Internet rumors and several blog items will have you believe that somewhere in Time these buildings were the site of the Belgian Legation or Embassy in Beijing. However, there is NO proof nor historical record that says the location has been in function as the Belgian Legations so far. On the contrary, according to our written information, the Belgian and Austrian Legations were located somewhere in the North of the Legations, not here in the South. Further, according to our two historic maps, this is the former Palace of Prince Xu. 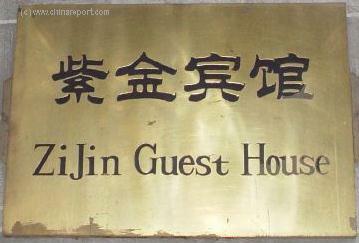 Thirdly, local citizens identify the Zijin Guesthouse as the site of the former Swedish Legation, not the Belgian One. 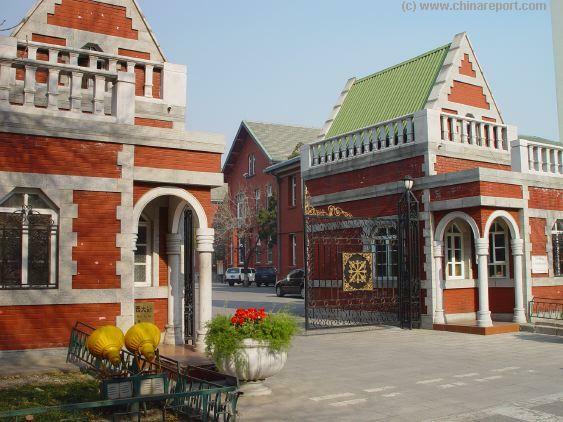 A View of the peculiar buildings on the Site of the Former Residence of Prince Xu Tong from TaiJiChang Dajie'. Some of the buildings are painted red whereas other feature bare brick and a different style. 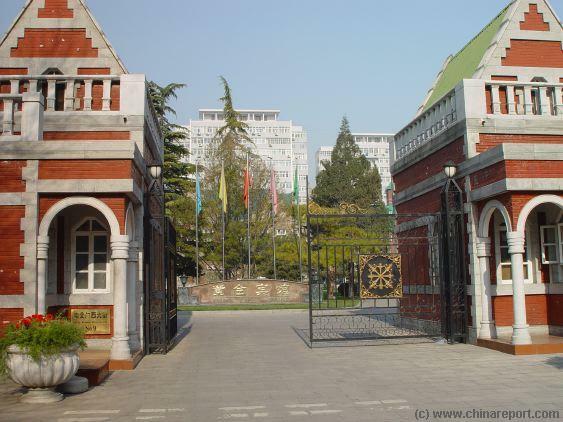 2nd View o/t peculiar buildings and the Former Residence of Prince Xu Tong from TaiJiChang Dajie'. The Highrise in the background is not part of the ZiJing Guesthouse. Prince Su's (or Xu) was a Manchu Banner-Man, which is the title for the Leader of one of the 8 Branches of the Loyal Manchurian Elements inside the larger Imperial Army. The title of Prince Su was an important hereditary Title which in history had gained much respect. schooling as a young man, Xu Tong went on to Pass the All-Important Imperial Examinations and had begotten a Clerks Job as Court Chronicler at the Court in the nearby Forbidden City (now Palace Museum). In his early career he steadily climbed the ranks at the Imperial Court and the high status of his family eventually led him later to be the Head Tutor to late stooge-Emperor Tongzhi, regardless of the supposed high treason perpetrated by the father the elder Prince Xu. It was a noteworthy appointment indeed. Although the Tongzhi Emperor ended up being everything the father Prince Xu had feared he would be, a helpless stooge Emperor entirely controlled by a woman who was not part of the ruling Manchu Clan (but of the Yehonala Clan), the young Prince Xu had built a career upon being the tutor and so advisor to the Throne. A decade later, by the time the Empress Dowager had had time enough to expose the young Emperor to unhealthy risks, Prince Xu Tong was an established confidant of the Throne (that being the Empress-Dowager). Before the Tongzhi Emperor came of age, so becoming independent of the will of the Empress Dowager Cixi, he had died prematurely from syphilis in 1874 AD however, the important previous assignment guaranteed Prince Xu a life-long access to- and influence on the Inner-Most Circles of the Qing Dynasty Court. Prince Xu himself was a Man strongly aligned with the power-clique of Empress-Dowager Hsu-Tzi. To affirm his High Status the Title of Grand Councilor was bestowed upon him in 1896 AD. At the Time of the Empress-Dowagers renewed Coup D'Etat of 1898 AD, the Prince was already semi-retired and aging, but as is common in China even today (not very much) behind the scenes was still very active in Politics. 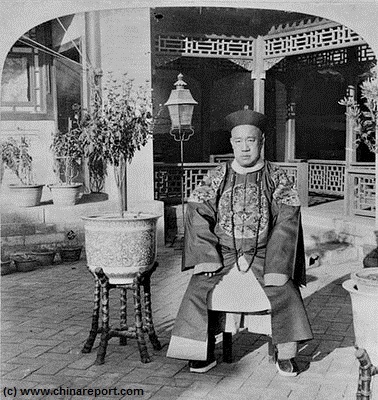 In Fact, although at the age of almost 80 and having difficulty with official duties, in 1898 - 1900 AD Prince Xu was one of the closest personal confidants of the "Old Buddha", as the Empress-Dowager had affectionally come to be known as. The Evil Empress-Dowager Cixi and her control over the Reign of the Guangxu Emperor. Great Costumes and Historic Drama in the Forbidden City ! The ZiJin Guesthouse still has an Old Timer type Classical Chinese Limousine from the 1950's Era. 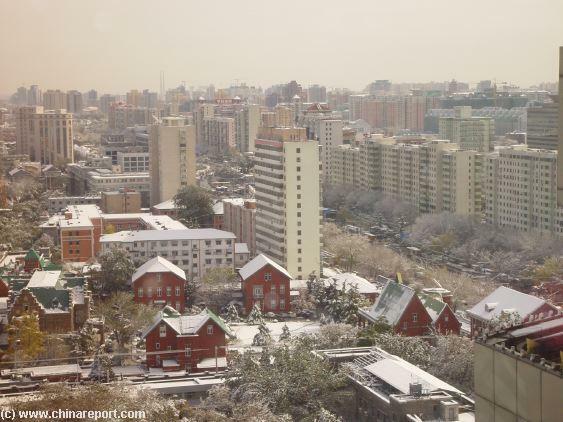 It is virtually unique in Beijing. of him: " is reported to be a hater of Foreigners. He lives in the street where most of the Foreign Legations are located, and has borne out this reputation by the consistent opposition he has offered to the macadamizing (paving) of this street and to all material reforms". As you may imagine, The Princes' Life in his Palace must have been a torment for him for quite a while as he had to watch powerlessly how Foreigners controlled the city and expanded their influence everywhere. Most likely in part as a result of his personal experiences in the Legations Quarter, when the years 1899 and 1900 arrived, almost unavoidably, the young Prince Xu became an enthusiastic backer of the 1900 AD Boxer Movement, the only movement or body in the defeatd Nation which would clearly identify Foreigners as an unwanted nuisance and threat. Although his exact influence and deeds remain mostly shrouded in mystery, as a well known anti-Foreigner and person closely involved with the Clique of the Empress Dowager Cixi, ultimately he reaped the fruits of his labors when the foreigners won out and humiliated him. 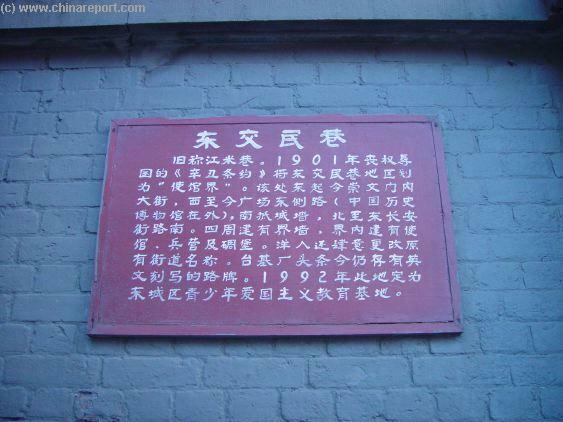 a place which has by now become a part of ZhongNanHai, the reclusive leadership compound of the ruling Communist Party. rince Xu was also one of the main plotters in the attempted downfall of the Foreign Presence in Beijing, which was enabled by the 1898 AD power-grab. had favored him over the aging and seemingly arch conservative Empress-Dowager. Although not inspired by Her, the Boxer War can be seen as having been used by Hsu-Tzi's in a payback to the "Foreign Devils" who had dared undermine her (and her Yehonella Clans') claims to the Dragon Throne. As was fore-told in an Ages Old Legend, the Empress-Dowagers' (Princess Yehonella or Yehonara) short-sighted occupations and the dramatic miscalculations during the Boxer War would become the Final undoing of the entire Chinese Feudal Empire. The only good that may be said to have come from the whole affair is that the Empress Dowager was forced to leave her Palace and Capital for some time, finally seeing the reality of common life in (rural) China, an experience which is said to have been both shocking and a mind changing event for the aging Empress-Dowager. Upon her return to the Capital in 1902 AD, a number of events would signal a less conservative attitude, hailing in a last blooming period in which the Chinese Court would hold close relations with the Foreign Diplomatic families living in the Legations. living in his Palace, being relatively shielded from hardship and contact with Foreigners. However when the Chinese defeat in the 2nd Opium War (or Arrow War)(1856 AD to 1860 AD) brought the so called Legations (Foreign Embassies) to Beijing he suddenly found himself forced to live among the hated Foreigners, the vicious and barbaric enemy who's invasions of China were threatening the foundations of its society, its Imperial System and indeed its very way of life. Needless to say, just about any Chinese would have resented such a situation. Since Prince Xu was however also part of the thoroughly conservative clique of the Manchu Family and a staunch ally of the Empress-Dowager he came to live his own nightmare having to deal with the people he resented deeply and felt far aloof of. Thus instilled with rigorous vigor to strife against the Foreigners it is held that Prince Xu Tong was one of the Manchu Princes strongly in favor of the YiHoTuan (Boxer) Movement. In fact it is rumored that the Prince's Convictions were that strong that after the establishment of the Legations Quarter, he insisted on being carried out of the Western Gate of the complex, thereby avoiding have to "set foot" in the Legations Street that was "polluted" with Foreign Presence. This last phrase can not be taken literally however, as the Prince had himself carried around in a Sedan Chair, according to his High Imperial Dignity. Plaquaette on the Wall adjacent the north Gate of Prince Xu Residence explaining some the history of the location, being the intersection of Dongjiaomin Alley = East Legations Street and the former Rue Marco Polo in the former Legations Quarter. 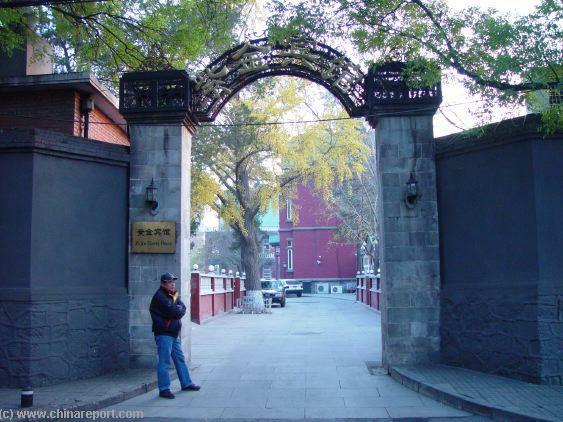 to use his palace compound and walled courtyard as a shelter for some of the 2000 Chinese Christian refugees who had sought protection from persecution by their fellow Chinese by hiding in the foreign legations. Whether or not the Prince did this out of generosity, coercion in his captivity or perhaps out of nobility and pity for the hapless victims of the raging war is unclear at this point. Due to his alleged involvement in the attempt to wipe out the Foreigners in the Legations, the Foreigners personally penalized him after their Victory. An official Portrait of the Prince Xu seen posing in the Garden of his Mansion in the Legations. Although it was fashionable at the time the existence of such a photo suggests that the Prince may not have been as arch conservative as is suggested in some sources. humiliating defeat in the second opium war, the looting of the Capital and the burning of the Imperial (Summer) Palace (Yuanmingyuan) ending with a luxurious staying on of the enemy as his friendly neighbors, Prince Xu Tong refused to pass through it any longer. Although not much information can be found on his person today, it is also said that in the months and years leading up to the Boxer War that ravaged the Legations the Prince is said to have made statements implying that soon he would have a Sedan Chair furnished with the leathered skins of Foreigners. extensive Royal Family at Court in Beijing. His Mansions thus reflected the status of him, his title and that of the family and had a large surface area and the mansion and pavilions were crafted from the finest materials available. 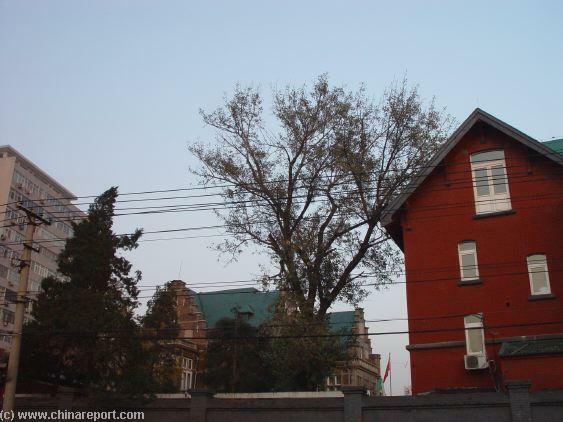 Find the Fu Mansion at the intersection Dongjiaomin East Road and Taijichang Street, south and across from the St. Michael's Church. 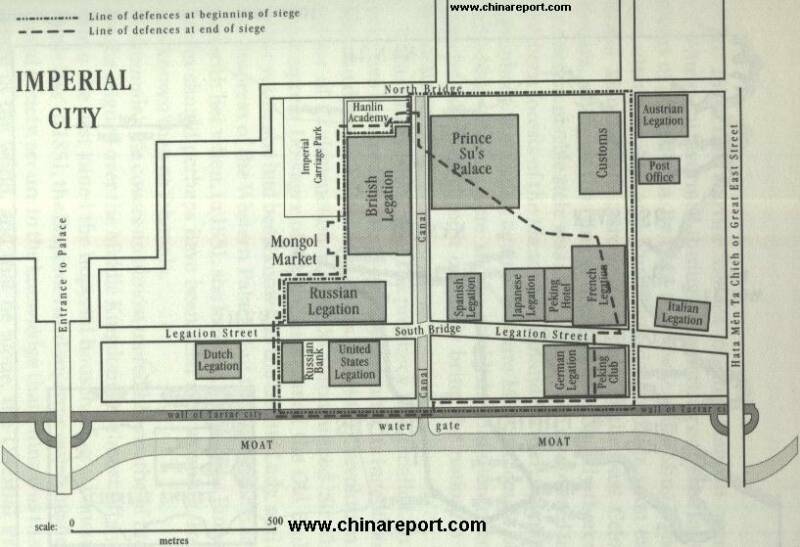 The south gate of the complex is situated along Qianmen East Street (Qianmen Dong Dajie) and is found due east of the Capital Hotel complex which itself was in use as the grounds of the German Legation. An overview of the peculiar buildings on the Site of the Former Residence of Prince Xu Tong from the adjacent Capital Hotel, which was constructed on the strip of land formerly taken by the German legation. The younger Prince Xu, proud owner of this highest of heriditary titles and the master of the Fu Wan Fu mansion at East Legations Street, had a different upbringing than his father, albeit also certainly within the highest of circles. family line. This generous gesture of the then ruling Emperor was no doubt welcomed by the entire family line and so a lot of loyalty was bought back. Prince Xu Tong then was the 9Th family member to receive the title, which came along with a handsome yearly stipend from the State Coffers (i.e. bestowed by the Emperor), as well an incredibly high status even within Manchu circles, as well as many considerable other benefits. Naturally, having been born into a privileged family, the younger Prince Xu, Xu Tong, inherited substantial family wealth from his succesful forebears, which among things included the estate that would end up lying within the Legations.